The three most basic processes in a coal washing plant are preparation operations (crushing, screening, grading), sorting operations, and post-selection product processing operations before sorting. At the same time, heavy medium coal preparation includes five major processes: coal flow, medium flow, circulating water system, slime water and clean water. Sieving: The operation of dividing a mixture of different particle sizes into various granules by using a perforated sieve surface is called sieving. 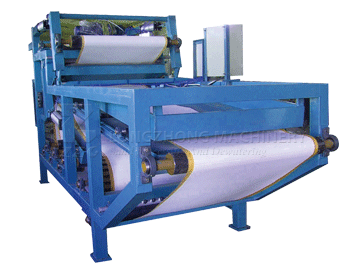 The machine used for drying is called a sieving machine or a sieve. Crushing: The process of pulverizing large pieces of material into small particles is called crushing. 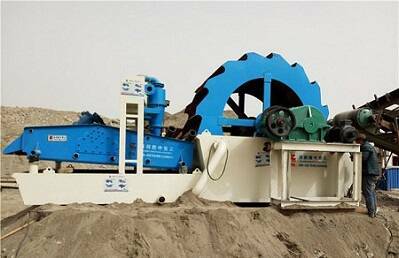 The machine used for crushing is called a crusher. The material is crushed mainly by mechanical methods, and there are several main methods such as crushing, chopping, breaking, crushing and grinding. Washing coal: It uses different physical and physical-chemical properties from other materials. It uses mechanical methods to remove impurities mixed in raw coal in the coal preparation plant, and divides it into products of different quality and specifications to meet the needs of different households. Commonly used coal preparation methods include jigging coal preparation and heavy medium coal preparation. Jigging coal washing: The coal preparation process is carried out in a vertical pulsating medium according to the difference in particle density. Heavy medium coal washing: In media with a density greater than 1g/cm, coal is selected according to the difference in particle density, which is called heavy medium coal preparation or heavy medium coal preparation. Heavy medium coal preparation is generally classified. 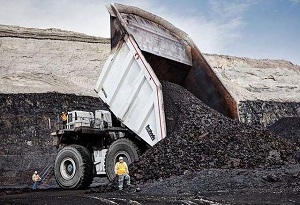 The sorting lump coal is generally carried out by gravity using a heavy medium sorting machine; the sorting coal is carried out by a gravity medium swirler under the action of centrifugal force. The clean coal is de-packed by de-screening, dewatering, and then enters the centrifuge for secondary dewatering and then into the clean coal belt conveyor. 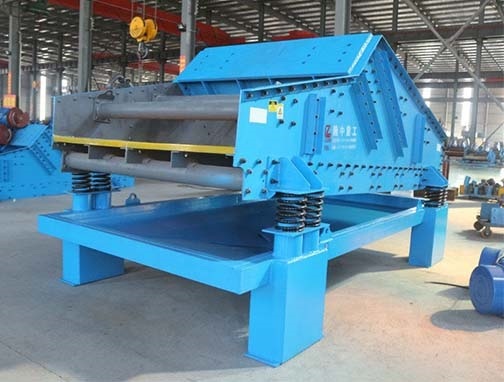 Medium coal and vermiculite use a double-channel de-screening machine, and the intermediate surface of the dewatering screen surface separates the medium coal from the vermiculite. The coal and vermiculite on the sieve are transported to the medium coal and vermiculite unloading point by the belt conveyor. clean coal, medium coal, vermiculite curved screen, and de-sieving sieve shall be used in a qualified medium drum for reuse. The clean coal, medium coal, and vermiculite off-screening of the second-stage sieve are dilute medium; the clean coal is thinned to the fine coal barrel and then hit the magnetic separator, the medium coal and the vermiculite flow from the medium to the middle and the thin The barrel is hit to the middle and the magnetic separator, and the above magnetic separation concentrate flows into the qualified medium barrel for recycling. This design does not have a medium grinding system. It is added with qualified magnetite powder. The specific process is to use high-pressure water (P=0.5MPa) to flush the magnet powder into the collection pit and pump it to the magnetic field. The magnetic separation of the machine is selected, and the magnetic separation concentrate flows into the qualified medium barrel to realize the medium addition. After the fine coal magnetic separator tailings are transferred to the fine coal tailings barrel, the pump is used to classify the classifier cyclone, and the cyclone bottom stream is recovered by high frequency sieve to recover the coarse coal slime. Go in the clean coal. The demineralized sieve sifting water and the tailings water of the medium coal and vermiculite magnetic separator enter the coal slurry tank, pumped to the classification cyclone for classification, the bottom of the cyclone enters the high-frequency sieve, and the high-frequency sieve is mixed with the medium coal. Go in. The cyclone overflows and the high-frequency sieve sifts down the water to float. The cyclone overflows through the slurry preparation device for slurry pretreatment and then enters the flotation machine for flotation. The flotation concentrate enters the flotation concentrate pool and is pumped. The filter press, after pressure filtration, obtains flotation clean coal, which is transported by the belt to the clean coal yard together with the fine coal dewatering sieve and the coarse coal recovered by the high-frequency sieve. The filtrate did not circulate. The flotation tailings well enter the thickener for concentration of the slime. The bottom flow of the thickener is pumped to the slime filter press, and the slime product is obtained by pressure filtration, and the filtrate is used as circulating water. The products produced after the coal washing process are generally divided into vermiculite, medium coal, class B clean coal, and grade A clean coal. After the coal washing process, the finished coal is usually called clean coal. 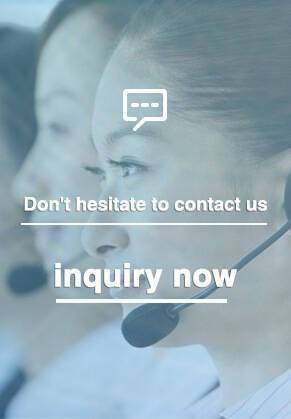 By washing coal, the coal transportation cost can be reduced and the coal can be improved. Utilization rate, clean coal is generally used as fuel energy. Bituminous coal is generally used for coking. It is required to remove sulfur and impurities into industrial processes to meet the standards for coking.